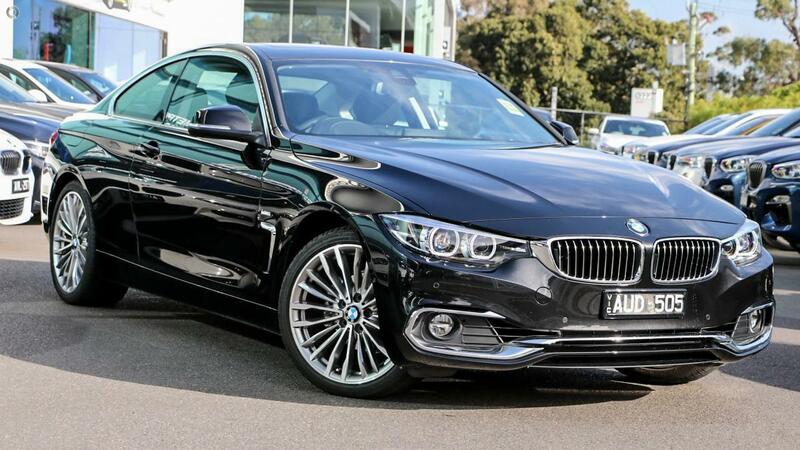 Stunning 420i Coupe LCI Luxury Edition presented on Saphire Black with Black Leather interior. This classy coupe is sure to impress featuring comfort access enabling keyless entry to the BMW. Furthermore, the car is also equipped with heated front seats for cold winter mornings and a glass sunroof for warm summer nights. The 4 series coupe can be defined as the ultimate gran tourer with a performance aspect to it as well. Enquire now to be in touch with one of our BMW Product Specialist who will guide you on exploring options on this vehicle or another one of our ultimate driving machines. Being one of the largest BMW dealerships in the Southern Hemisphere, we are sure to have the right BMW for your needs and desires; along with providing you with the ultimate BMW experience with onsite Service Department, BMW Lifestyle Store, BMW Bodyshop, Parts and Cafe. With an already high level of specification, this car is sure to impress the most fastidious buyer. Enquire now to receive an experience beyond your expectation.